The most common purpose for window graphics are used for store hours. But why stop there? 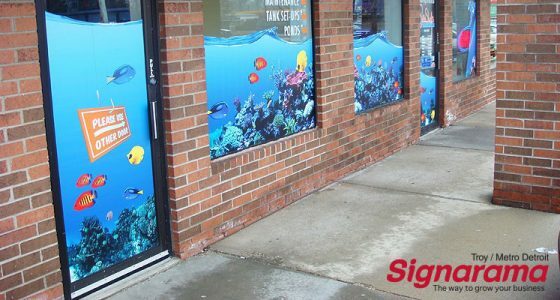 Window graphics can be printed to fill your window space with custom images, logos & text to create an attention-grabbing storefront! With multiple options available, Signarama of Troy can work with your budget to give you the most coverage. 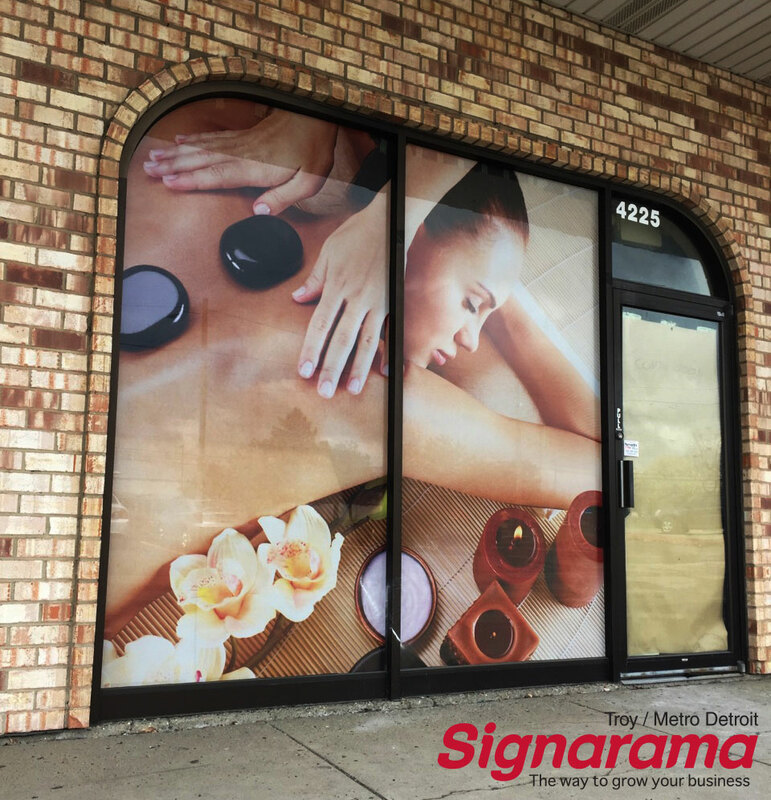 Signarama Metro Detroit has wide format printers that allow us to print standard vinyl graphics, or perforated vinyl. We also have a wide selection of premium vinyl such as etched "glass" vinyl to make your storefront stand out. Perforated vinyl is made with 50% vinyl, 50% holes. The beauty of this material is that when someone looks at your storefront, their eyes absorb the light being reflected off the image. The holes cannot be seen & the graphic looks like a solid image! This type of vinyl provides you with a solution to block out your windows with custom printed images or logos but also gives you the capability to still be able to view outside of the window. Perforated vinyl makes it hard to see inside from the outside. Etched glass vinyl is a self-adhesive silver film with the appearance of real etched glass. This fine detailed texture is perfect for displaying your logo on interior windows & doors. Etched vinyl can be cut to any shape, text or logo & just about any size! Visit our showroom in Troy, MI to view the real deal!